I made 232 calls from home for Jim Webb today! Today's top 5 phone from home callers are over 1000 calls as of 7:30 pm! Just let me say that I want to stop. I hate talking on the phone...to anyone...for any reason. However, something keeps me on the phone. 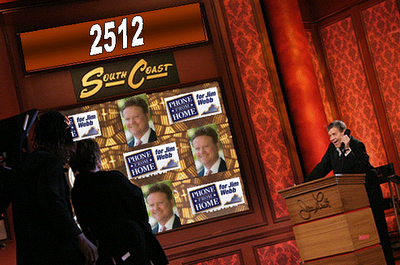 It is the fact that I know Jim Webb must win this race. It is right. It is good for Virginia, America, the world, and the future. That is my conviction. It is what I know to be true. The dirty voter suppression tactics that are going on in Northern Virginia only steel my resolve. But, I'll be on the phone again tomorrow and, after tomorrow, it'll all be over. Remember that if you get tired, or sick of calling, or God forbid, overconfident. This is too important to hope someone else will do it. Comments on "Timpani Roll: Election Eve"